Exquisitely designed cottages feature wooden decks that are naturally shaded by large coconut palms. 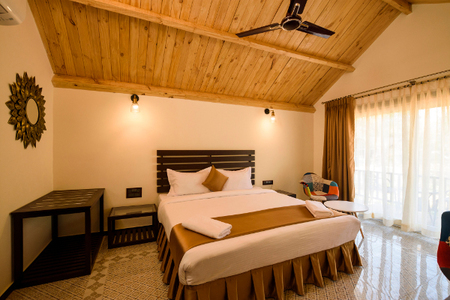 Loaded with the modern amenities yet presented in ethnic style the cottages will provide you the home comfort and uplift your mood. 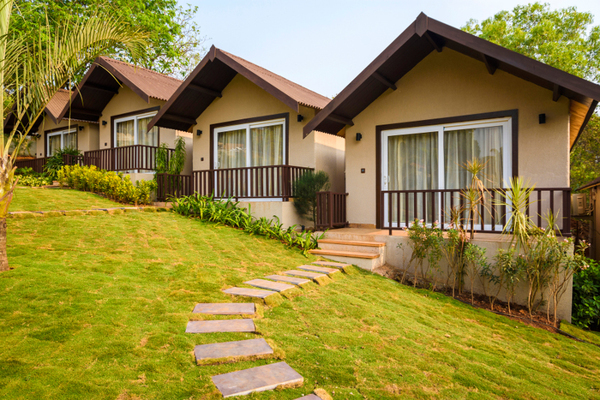 Sea View cottages are perfectly suited for those who like to spend their time enjoying impeccable views of the Arabian sea. These cottages are perfect for a romantic retreat or a tranquil siesta that is augmented by the calming echoes of the waves hitting the rocky beach. -Cancellation Policy for the packages. Cancellation before 15 days to the arrival: full refund.